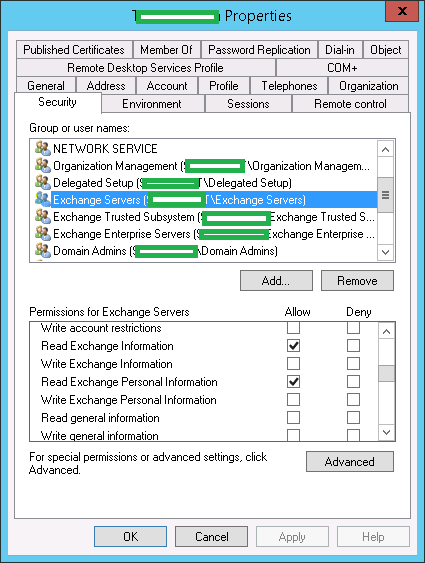 Ryan Betts, Cloud Solutions Architect: Exchange 2010 SP3: Event ID 1053 Exchange ActiveSync doesn't have sufficient permissions to create the "CN" container under Active Directory use "Active Directory operation failed on dc.domain.local. This error is not retrial. Additional information: Access is denied". 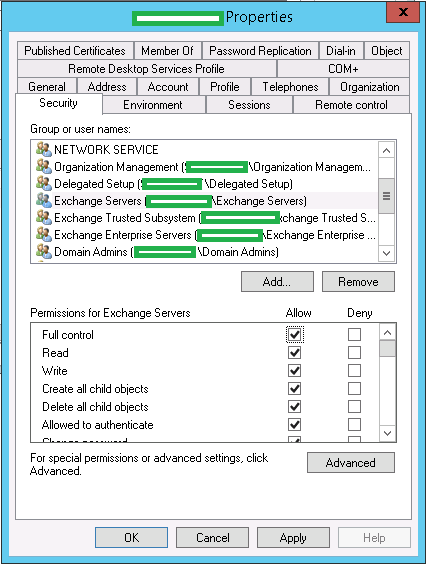 Exchange 2010 SP3: Event ID 1053 Exchange ActiveSync doesn't have sufficient permissions to create the "CN" container under Active Directory use "Active Directory operation failed on dc.domain.local. This error is not retrial. Additional information: Access is denied". You are experiencing problems with certain users connecting a mobile device to the Exchange Server using ActiveSync, after checking all of the usual things such as Mobile Device associations from the ECP, and if ActiveSync is enabled for the users. 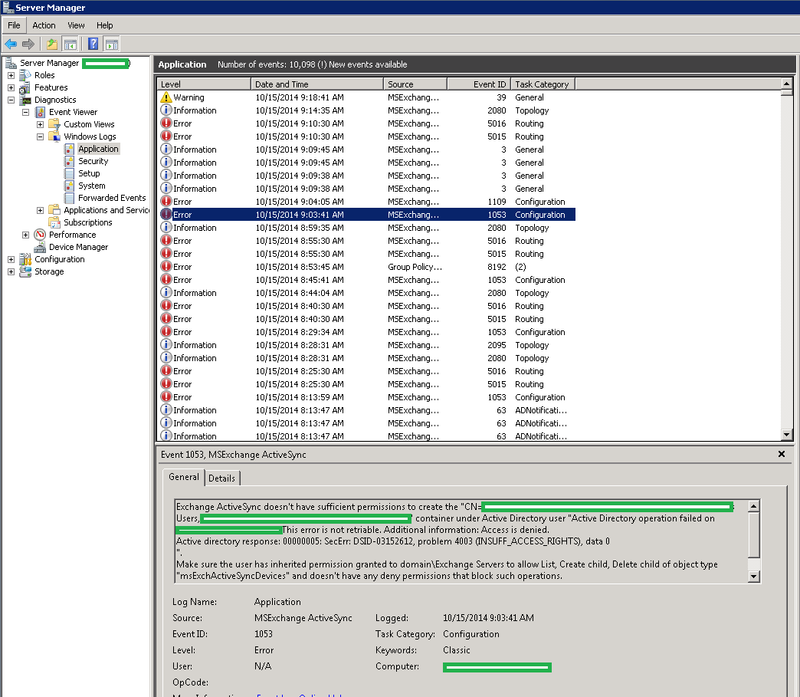 After checking the event logs on one of the Exchange Client Access Servers (CAS) under the Application Log the event "Event ID 1053 Exchange ActiveSync doesn't have sufficient permissions to create the "CN" container under Active Directory use "Active Directory operation failed on dc.domain.local. This error is not retrial. Additional information: Access is denied". is present stating the user you cannot connect to Exchange. The first step was to look at the Security Permissions on one of the effected users objects. 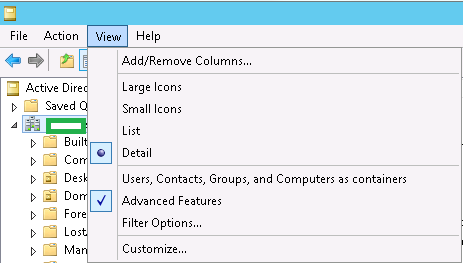 I always enable the Advanced Features view from the Active Directory Users and Computers MMC. Then do a search for the user object and open the Properties, click on the Security tab and click on the Exchange Servers security principal. When I first did this only "Read Exchange Information" and "Read Exchange Personal Information" was Allowed in the entire list. To test this was causing my issue I gave the Exchange Servers principal Full Control over the object. Although I do not normally like to grant explicit Full Control to anything I was hesitant but since it's the Exchange Servers security principal I could not see any reason why not to.